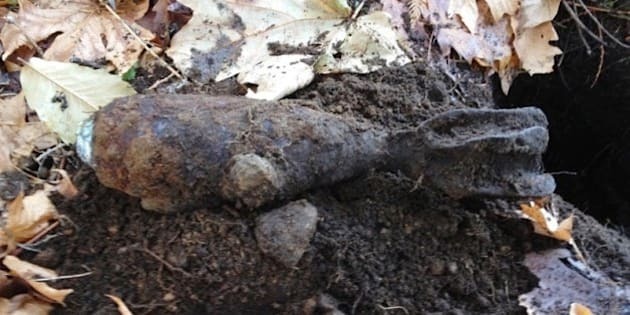 A World War II bomb shell has been removed from Stanley Park by Vancouver police. The mortar shell was discovered by someone with a metal detector near the​ HMCS Discovery naval base on Deadman&apos;s Island Thursday afternoon. A Vancouver police bomb squad closed off the part of the park around the facility, which was built during World War II. Police X-rayed the shell, but could not determine whether it was live or not. It has been removed for further analysis. Police have now left and reopened the park.